Effective interventions are needed to bolster students’ argumentation capacities, an area in which they consistently struggle. Quality Talk (QT) is an approach to small-group classroom discussion shown to support students’ oral argumentation with preliminary evidence that it may also bolster students’ written argumentation. Teachers often must adapt interventions to their local context, balancing needed flexibility with sufficient adherence to fidelity to reach expected efficacy. The present study was conducted over one school year with two fifth-grade teachers and their 46 students. In Phase I, two participating teachers implemented a refined version of QT, and we examined the effects on students’ oral and written argumentation performance. While typical gains in students’ oral argumentation performance were evidenced, students’ written argumentation did not improve to the degree expected, particularly in terms of performance with unfamiliar texts. In Phase II, both teachers reincorporated a component of QT (i.e., regular post-discussion written argumentation practice) they had adapted in Phase I, and one teacher added a new written argumentation scaffold designed to further bolster students’ transfer from oral to written argumentation. By the end of the study, students from both classes evidenced growth in written argumentation, but the students from the class receiving the writing scaffold outperformed comparison class students with large effects. 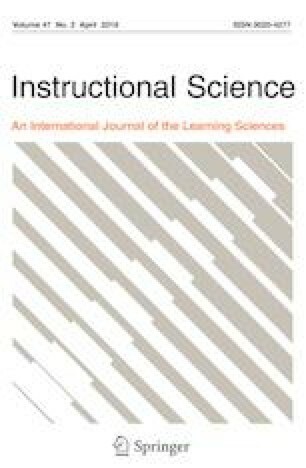 Findings underscore the importance of including regular post-discussion written argumentation practice and illustrate the added value of a new written argumentation scaffold, while also contributing to a better understanding of how to balance flexibility and fidelity for efficacious QT implementation. This research was supported by the Institute of Education Sciences, US Department of Education, through Grant R305A130031 to the Pennsylvania State University. Any opinions, findings, and conclusions or recommendations expressed are those of the author(s) and do not represent the views of the Institute or the US Department of Education. College Board. (2004). Report of the National Commission of Writing for America’s families, schools, and colleges. Writing: A Ticket to Work... Or a Ticket Out. A Survey of Business Leaders. https://www.nwp.org/cs/public/download/nwp_file/21479/writing-ticket-to-work.pdf?x-r=pcfile_d. Council of Writing Program Administrators, the National Council of Teachers of English, and the National Writing Project. (2011). Framework for success in postsecondary writing. http://wpacouncil.org/files/framework-for-success-postsecondary-writing.pdf. Dong, T., Anderson, R. C., Kim, I. H., & Li, Y. (2008). Collaborative reasoning in China and Korea. Reading Research Quarterly, 43, 400–424. http://www.jstor.org.ezaccess.libraries.psu.edu/stable/20068354. Durlak, J. A. (2010). The importance of doing well in whatever you do: A commentary on the special section, “Implementation research in early childhood education.” Early Childhood Research Quarterly, 25(3), 348–357. http://www.sciencedirect.com/science/article/pii/S0885200610000232. Felton, M., & Herko, S. (2004). From dialogue to two-sided argument: Scaffolding adolescents’ persuasive writing. Journal of Adolescent and Adult Literacy, 47, 672–683. http://www.jstor.org/stable/40016901. Gersten, R., Carnine, D., & Williams, P. (1982). Measuring implementation of a structured educational model in an urban school district: An observational approach. Education Evaluation and Policy Analysis, 4, 67–79. http://www.jstor.org/stable/1163794. McLaughlin, M. (1990). The Rand Change Agent Study revisited: Macro perspectives and micro realities. Educational Research, 19(9), 11–16. http://web.stanford.edu/group/suse-crc/cgi-bin/drupal/sites/default/files/rand-change.pdf. Murphy, P. K., Firetto, C. M., Greene, J. A., & Butler, A. M. (2017a). Analyzing the talk in Quality Talk discussions: A coding manual. https://doi.org/10.18113/S1XW64. National Center for Education Statistics. (2007). Reading framework for the 2007 National Assessment of Educational Progress. Washington, DC: Institute of Education Sciences, U.S. Department of Education. https://www.edpubs.gov/document/ed002606p.pdf?ck=6. National Center for Education Statistics. (2012). The nation’s report card: Writing 2011 (NCES 2012-470). Washington, DC: Institute of Education Sciences, U.S. Department of Education. https://nces.ed.gov/nationsreportcard/pdf/main2011/2012470.pdf. National Governors Association Center for Best Practices, and Council of Chief State School Officers. (2010). Common Core State Standards for English language arts: Kindergarten-Grade 12 Introduction. Washington, DC: Authors. http://www.corestandards.org/ELA-Literacy/introduction/students-who-are-college-and-career-ready-in-reading-writing-speaking-listening-language/.